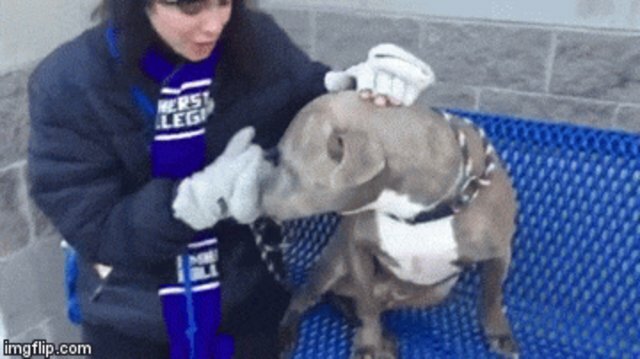 At the animal shelter in New York City, there's a dog who won't stop shaking. Even with his head firmly entrenched in a shelter worker's arms, and his tail wagging valiantly, Liquorish trembles uncontrollably. Maybe it's just cold at the Manhattan Animal Care Centers. Or maybe Liquorish knows his number came up on Thursday, and he's hours past the time when he can officially be put down. Maybe he shivers from a general sense of a world - a world that saw him purchased from a pet store and then given up because, according to a Facebook post from animal rescuers who work with the shelter, he's "too hyper." That same post notes, however, that he was only taken for walks twice a week. If that's the case, a certain pent-up energy may be understandable. And maybe a certain sense of betrayal too. But shelter workers see no hint of bitterness in this love-starved dog. 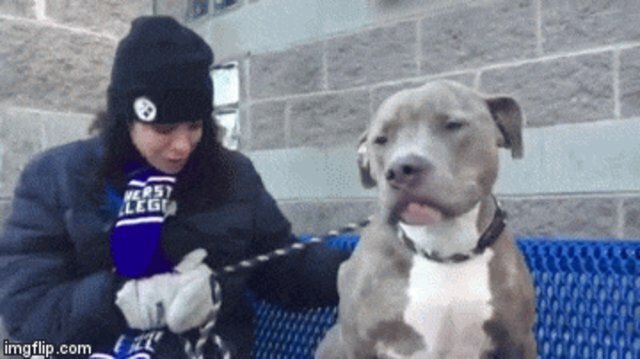 "He has no issues being leashed and led outside and quickly establishes himself as King of the Bench, hopping up beside me, accepting kisses and chest rubs and nuzzling his head under my arm for comfort." If only Liquorish knew that a seemingly cold world can turn on a dime, and become a place of love and comfort. Because it just may have turned for this world weary dog. That means the potential adopter has 48 hours to pick him or else he returns to the kill list. If you think you can give this dog the lifeline he seems to have been looking for all his life, get in touch with Animal Care Centers of New York City through its website. And soon. We will update this post if we hear news of Liquorish getting adopted.